Available Colors: Frosted: Blue, White or Red. Shipping Weight: Cello Bag, 500 per carton @ 23 lbs. 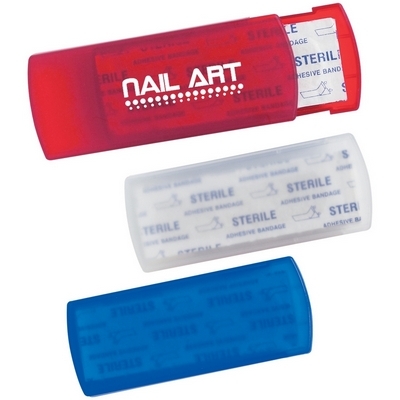 Customized Bandages in Plastic Case Item #HT-9429 (Minimum Order: 250). Promotional First Aid Kits like the Bandages in Plastic Case can be personalized with your business logo and with No Setup Fees. Customized Travel Neck Pillow (Item #HT-9440) is Promotional with a Free Artwork Imprint. 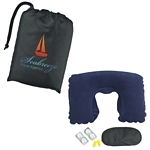 Promotional Traveling Pillow like our Personalized Travel Neck Pillow are decorated with your logo with no setup fees. Customized Travel Comfort Kit Item #HT-9446 is Promotional with your business logo for advertising to clients. 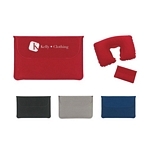 Customized Travel Comfort Kit and other Promotional Travel Kits are decorated with No Setup Fees. 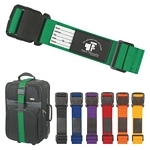 Customized Luggage Safety Strap Bag Identifier (Item #HT-9449) is Promotional with a Free Artwork Imprint. Promotional Luggage Tags like our Personalized Luggage Safety Strap Bag Identifier are decorated with your logo with no setup fees. Customized The Whatever 2 oz. Bottle Travel Set Item #HT-9444 (Minimum Order: 50). Promotional Toiletry Kits like the The Whatever 2 oz. 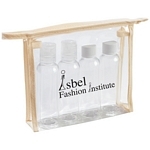 Bottle Travel Set can be personalized with your business logo and with No Setup Fees.